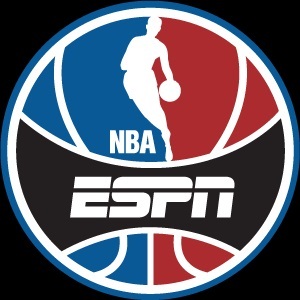 ESPN has officially announced its broadcast schedule for its coverage of the 2015 NBA Playoffs this weekend. Officials with the network announced Thursday that ESPN will carry Game Six of the First-Round Eastern Conference matchup between the Hawks and Nets Friday evening. Coverage is scheduled to begin at 8pm ET on ESPN. Mike Breen will have the call for the game. He will be joined by analysts Jeff Van Gundy and Mark Jackson in the booth for additional commentary. Reporter Doris Burke will be courtside with additional news and insights on the game. Those not near a TV can still catch the game online via WatchESPN. Following Friday’s Round One matchup between the Hawks and Nets, ABC will take over broadcast duties for the weekend, with a double-header beginning at 1pm ET. Depending on the outcome of Friday’s game between the Hawks and Nets, ABC will carry either Game Seven of the teams’ First-Round Eastern Conference series in Atlanta or Game One of the Eastern Conference Semifinals between the Hawks and Wizards. This depends on whether or not the Hawks finish off the Nets Friday night in Brooklyn. At 3:30pm ET, ABC will carry the Game 1 between the Golden State Warriors and Memphis Grizzlies in their Western Conference semifinal series. Along with its broadcast on ABC, the game will be simulcast on the radio via ESPN Radio and online via ESPN3. It all kicks off at 12:30pm ET with ABC’s weekly pre-game NBA broadcast of NBA Countdown. Sage Steel will anchor Sunday’s broadcast and will be joined by analysts Doug Collins and Jalen Rose at the desk. 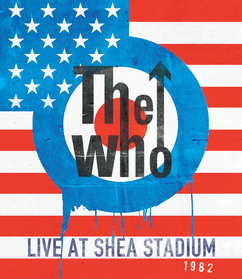 Legendary British rock band The Who is currently making its way across America on the North American leg of its new “The Who Hits 50! Worldwide Tour.” The tour is in support of its latest hits collection, which goes by the same name. That compilation was released late last year. Now as The Who makes its way across America (and later Europe and other nations), Eagle Rock has announced that it will release a new, archived live recording from The Who this summer for all of the band’s fans. Audiences can get a glimpse of the concert now by clicking on the picture below. It will take fans to YouTube where audiences will get to see the band’s performance of ‘Love Reign O’er Me’ from the concert. Every year, any number of albums is released across the music world’s various genres. The number of albums featuring new material typically ranges somewhere in the hundreds. 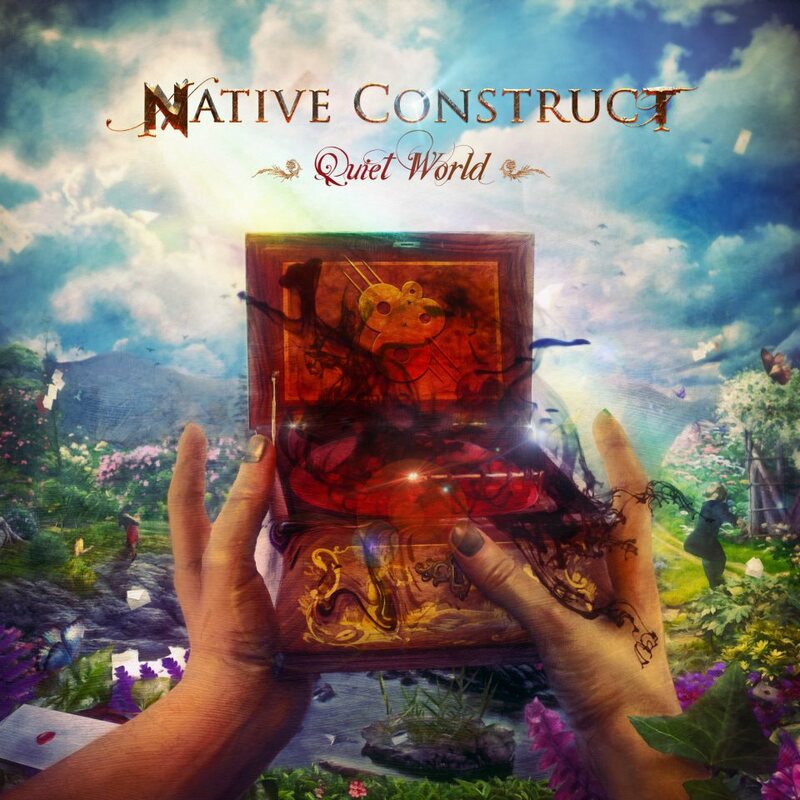 Of those hundreds of new albums released across the musical universe each year, far too few of those albums really stand out as works that will make listeners stop and want to say, “Hey, come listen to this!” However with the release of its debut album Quiet World, progressive metal band Native Construct has brought just such an album to the world. As a matter of fact, the Boston, Massachusetts-based trio’s debut is one of the most unexpected surprises of the year. It is one of the year’s most unexpected surprises not just within the rock and metal community but in the musical universe in whole. That is meant in the most positive manner possible, too. The main reason for its unexpected enjoyment is its wholly original story. Yes, that’s right. It is a concept album. And boy, what a concept. The album’s story follows a man who creates a world for himself in his mind after the woman he has feelings for makes it clear that she doesn’t have those same feelings for him. That’s just the beginning. It’s also just the beginning of what makes this album stand out so strongly. The album’s vast mix of musical styles makes the album stand out even more. It’s not just another prog rock or prog-metal record. Musically speaking, this album is a work that fans of Native Construct’s label mates Between The Buried and Me will appreciate. Last but hardly least of all that makes this record shine so brightly among the hundreds (if not thousands) of other albums out there already this year is its run time. The album’s seven total tracks bring the album’s run time to forty-eight minutes. For a concept album, that really is not that long. And that has to do largely with the run times of each of the songs that make up the album. That will be discussed at more length later. For now, taking into consideration the record’s relatively short run time along with its original story line and equally original compositions, all three elements come together to show exactly why this record should be on any music critic’s year-end list of the year’s best new hard rock and metal albums. Metal Blade Records just announced this week that after only its first week in stores and online, Native Construct’s Quiet World has been making *ahem* quite a bit of noise in its own right. The band’s debut album roared into the #56 spot on Billboard’s Hard Music Album’s Chart and the #85 spot on Billboard’s New Artist Chart. Considering that this is the band’s debut album it says a lot about the notice that it’s garnering from critics and audiences alike. It would be no surprise if it ends up on at least some critics’ year-end lists of the best new hard rock and metal albums come December, too. The lack of surprise comes mainly through the record’s concept. As the band notes on its Facebook page, the album centers on the story of a man—a mute—that creates his own “perfect” world inside his mind as a result of unrequited love. The band notes that the unnamed figure had feelings for a woman, but the woman in question didn’t share his feelings. This leads to the creation of his “perfect” world. The problem is that soon after its creation, even his own “perfect” world proves to be anything but perfect. It does have a happy ending of sorts, not to give away too much information. But the real payoff here isn’t necessarily the story’s end but the journey to the end. The story crafted by the band—Robert Edens (vocals), Myles Yang (guitar), and Max Harchik (bass)—is a work that no other band or artist within the prog-rock realm has ever tried. And considering that it is the makeup of the band’s debut album makes it even more interesting. It’s just one reason that anyone thirsting for something original should hear at least once. It’s not the only reason that audiences should pick up this record, either. The album’s equally creative sound is just as worth noting in that avenue. Native Construct took a huge risk releasing a concept record for its debut record. Even within the world of rock, the concept record is very much a niche format. Considering that the album debuted on not one but two of Billboard’s charts in its debut week shows that the risk paid off quite surprisingly. The surprise showing is obviously thanks at least in part to the album’s original and creative story. On another level, the music that serves as the story’s “soundtrack” shows in its own way why the album has made such an impressive surprise debut. Anyone that is a fan of Dream Theater, Spock’s Beard, or even the band’s label mates in Between The Buried and Me will especially enjoy the multitude of styles presented throughout the record. The Spock’s Beard influence is obvious right off the top in the album’s opener ‘Mute’ which introduces the story’s lead character. The song mixes something of a jazzy style and a more prog-rock sound that in a weird way actually works quite well. Even more interesting here is that it suddenly breaks into a symphonic power metal sound akin to that of perhaps Powerglove or Dragonforce with Edens boasting a powerhouse death metal style growl as he screams, “At last they all hear my voice/And this will make them see/That there is no being/In this world that will dare defy me.” Considering such lyrics, it makes sense that he would utilize such a vocal style. It could be argued to be a stylistic foreshadowing of sorts for what is to come later. The hybrid jazz/prog-rock sound established in Quiet World’s opener is only the first example of this record’s musical diversity and how that diversity makes the record in whole well worth the listen. ‘The Spark of the Archon’ boasts its own mix of sounds. The prog-rock influences are there. And so is a sound that one can almost compare to easy listening believe it or not. Again, this is something that not even other prog-rock and prog-metal bands right now are trying. While the influences of the noted bands are there, none of the noted bands have tried mixing all of these styles together. The mix of sounds featured in Quiet World’s opening songs is also presented throughout the remainder of the album, with each element (including Eden’s occasional death metal growls) getting equal time in each song. The end result of that mix of sounds from beginning to end is an album that proves to be just as creative musically as lyrically. It makes for double the reason for rock lovers looking for something original to check out this record. Even with all of its musical and lyrical originality and creativity, there is still more to note that makes the album worth the listen whether listeners are fans of concept records or not. Quiet World’s original lyrical and musical presentations are both plenty of reason for rock lovers to pick up Native Construct’s debut album. They work together to make this record one that stands out not just within the rock world but more specifically the progressive rock realm, too. Believe it or not, the album’s run time actually plays just as much a part in making the album stand out as its music and lyrics. The album’s run time makes it stand out because it actually breaks that mold, too. Its run time comes in at well under an hour. To be more specific, it comes in at roughly forty-eight minutes. That is not very long for a concept album especially with it consisting of only seven tracks. More often than not, the standard run time of a concept album is an hour at the very least. They can even run easily past that mark and then some depending on the band. Again, Quiet World does the exact opposite. The album’s songs hit a wide swath of run times with the shortest barely topping the two-minute mark and the longest clocking in at nearly thirteen minutes. the rest run between five and eight minutes in length. So even those that aren’t the biggest of concept album fans will appreciate that Native Construct didn’t follow the standard concept album formula even in this aspect. It’s yet one more way that Quiet World, in its own way, makes a big sound and why it more than deserves a spot on any critic’s list of the year’s best new hard rock and metal albums. ESPN2 and ESPN Deportes will air a special edition of ESPN Friday Night Fights presented by Corona Extra and Noche de Combates presentado por Corona Extra this week. Ahead of Thursday night’s main event, veteran junior welterweight fighters Ashley”Treasure” Theopane” (37 – 6 – 1, 11 KOs) and Mahonri “”Rusito” Montes (29 – 4- 1, 20 KOs) will face off in a ten-round co-event. Theopane will have the home advantage in Thursday night’s fight, hailing from Las Vegas. He won his most recent match–a ten-round fight–with a unanimous decision over Hector Zuniga. Montes also comes into this week’s fight on the heels of a win in his most recent fight–an eight-round bout–that resulted in a unanimous decision over previously undefeated Diego Cruz. Joe Tessitore will have the call for Thursday’s fight on ESPN2. He will be joined by his long-time broadcast co-host Teddy Atlas at ringside. Todd Grisham will be on hand as well for this weekend’s huge fight. Pablo Viruega will have the call from ringside for Noche de Combates on ESPN Deportes. He will be joined at ringside by Delvin Rodriguez. Leopoldo Gonzalez and Claudia Trejos will be on site with all of the latest updates and news on the night’s card and this weekend’s fight. They will be joined by Hall of Fame boxing referee and analyst Joe Cortez for additional insight. Bernardo Osuna will have live interviews and reports for the night’s broadcast both on ESPN2 and ESPN Deportes. Every year or so cable network Comedy Central airs a new celebrity roast, honoring and poking fun at a different celebrity. The celebrities in question come from every avenue of the entertainment world. There’s no denying that the roasts in question are entertaining. However, there is also no denying that they are also nothing new when examining the annals of television’s history. From 1973 to 1984, Dean Martin and NBC ruled the airwaves with Martin’s hit series of celebrity roasts. Just as with Comedy Central’s celebrity roasts, Martin’s roasts playfully poked fun at some of the biggest names of the day from every avenue of entertainment. Despite more than four decades having passed since The Dean Martin Celebrity Roasts first hit the airwaves, the series of roasts remains just as entertaining today as it was so many years ago. One could even argue that The Dean Martin Celebrity Roasts are even better than Comedy Central’s celebrity roasts, having set the precedent so long ago. Thanks to StarVista Entertainment, that argument has been supported quite well in recent years thanks to the release of The Dean Martin Celebrity Roasts on DVD. Five separate box sets featuring episodes of the hit broadcasts have been released since 2013. 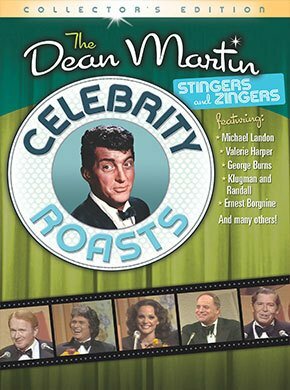 Now two more collections have been released by StarVista Entertainment; one an eight-disc set titled The Dean Martin Celebrity Roasts: Stingers and Zingers, and the other a single disc collection focusing on three of the sports world’s greatest names titled The Dean Martin Celebrity Roasts: Hall of Fame. Both sets were released in stores and online April 14th. And both are well worth the purchase for anyone that wants a good laugh. The guest honorees and their roasters are obviously the heart of the discs’ enjoyment and success. The jokes that the guests shoot at one another and the honorees are of course at the heart of the sets’ success. They and the guests’ timing in delivering said jokes will leave audiences in stitches, making for even more reason for viewers to purchase either set. On another level, the production values presented in both Dean Martin Celebrity Roast sets presents one more reason that they are so enjoyable. The episodes presented in both sets have been masterfully re-touched. They look and sound wonderful across the board. Such laudable work on the sets’ restoration is deserving of its own share of praise. It proves to be one more reason for any viewer and lover of classic TV to purchase either set. Together with the guests and the nonstop jokes across the board it proves to be one more reason that both belong in the library of any comedy lover and lover of classic TV. StarVista Entertainment’s latest Dean Martin Celebrity Roasts sets are two more fine examples of everything that once made comedy (and television in larger part) great. They show just how far comedy and television have strayed from their former greatness. One could even go so far as to say that both are so enjoyable that they are deserving of a spot in the library of any comedy lover and classic TV lover alike. The central reason for such praise is the collective list of guests and honorees presented across both sets. The guests featured throughout both sets is a who’s who of the sports and entertainment worlds. Ruth Buzzi, Don Rickles, Bob Hope, Red Button and so many other greats roast their friends Jack Kulgman, Mr. T., and Evel Knievel among so many others. Younger audiences might recognize some of the celebrity guests and honorees. However, older audiences are more apt to know the names featured in each episode. Of course, for those that might not be so familiar with those names, being introduced to them could actually prove beneficial. It could teach said audiences about the figures that remain today some of the most respected in their respected fields. So to that extent, it could be argued that the featured celebrities could actually serve as the starting point for a lesson on the history of American entertainment. Such a rich representation of Hollywood’s greatest ages and of the sports world’s equally rich history is just one reason that audiences will enjoy both of these new Dean Martin Celebrity Roast sets. The jokes lobbed at the honorees and guests alike make for even more enjoyment from both presentations. The guest and honoree lists that make up both of StarVista Entertainment’s new Dean Martin Celebrity Roasts sets by themselves prove to be plenty of reason in themselves for audiences to purchase either set. Of course, those guest and honoree lists can only do so much in encouraging viewers to pick up either et. The jokes lobbed back and forth between the guests and honorees add even more enjoyment for audiences. In terms of the jokes, Mickey Mantle and other athletes and celebs throw some real heaters at baseball legend Joe Garagiola including jokes about his batting average, and even his ability to swing both on the field and off among other topics. Yes, there is some blue material. And Garagiola isn’t the only victim of that material, either. Needles to say not all of the jokes are proper for some younger viewers. Older audiences though, will get a real laugh from all of that material and more. Gary Coleman dresses up just like Mr. T for Mr. T’s roast. And his joke about wanting to be big like Mr. T gets its own share of laugh, especially with Coleman dressed just like Mr. T. And the jabs thrown at TV legend Monty Hall will have viewers in stitches. These are just some of the examples of how the guest and honoree lists presented in each of StarVista’s new Dean Martin Celebrity Roasts set work in conjunction to make both sets equally enjoyable despite one being a single-disc set and the other an extensive eight-disc set. There are so many examples that could be listed that there is simply neither enough time nor space to go into everything. Needless to say regardless of which example(s) is/are chosen, every one proves to be as entertaining as any others. That in mind, the combination of the guest/honoree lists featured throughout both sets coupled with the jokes makes for all the reason in the world to add either one to any lover of real comedy and/or classic television. The combination of the guest/honoree lists that compose both of StarVista Entertainment’s new Dean Martin Celebrity Roasts sets make for more than enough reason for any lover of true comedy and classic TV to purchase either set. They will put smiles on any viewer’s face and draw nonstop laughs from any viewer’s mouth. Taking that into consideration, there is only one other element of both sets to examine. That final element is the collective production values of both sets. The production values in question refers to the look and sound of the episodes culled for the sets. StarVista Entertainment made completely certain once again with these sets to note the possibility that there may be some issues with the sets’ production values and for audiences to essentially bear with StarVista. As with StarVista’s previously released Carol Burnett Show releases (and others), audiences will be pleased to know that the disclaimers in question were hardly needed. Those charged with re-mastering each episode for the sets are to be commended for their efforts. That is because as old as the footage is, every episode looks and sounds wonderful, thus making for all the more reason to add either set to any true comedy and classic TV lover’s home library. There are no real noticeable impurities or other issues with any of the footage. It is yet another testament to those responsible for resurrecting this and so many other classic series for StarVista Entertainment and for audiences. Their efforts have resulted in footage that maintains the series’ classic look without sacrificing anything along the way. The end result is footage that will create a welcome sense of nostalgia both among those that grew up with Dean Martin Celebrity Roasts and those that might be first time viewers. It is a feeling that will make any of said viewers want to watch these episodes again and again. In just a few weeks, Shout! Factory Kids will release its latest collection of episodes from Discovery Family’s hit series Transformers Rescue Bots. Transformers Rescue Bots: Return of the Heroes will be released Tuesday, May 12th in stores and online. Whether viewers are familiar with this family friendly incarnation of Hasbro’s beloved Transformers franchise or not, it can be said that it proves just as enjoyable for first time viewers as for those that are more familiar with the series. The main reason for this is the writing behind each of the collection’s five episodes. The stories themselves are tried and true. There are also smaller elements of the writing such as the dialogue that makes the episodes just as entertaining. The series’ animation remains the same in these episodes. Though, there is one episode in which the show’s animators get to show off their talents a little more as Blades and Cody enter a virtual reality video game. Audiences will enjoy this slight change of pace from the animation that they have become so accustomed to seeing from the series. It’s one more positive to the whole of this set that makes it worth the addition to any Transformers fan’s collection regardless of his or her age. Last but not least of all worth noting of this latest release is the work of the voice cast once again. 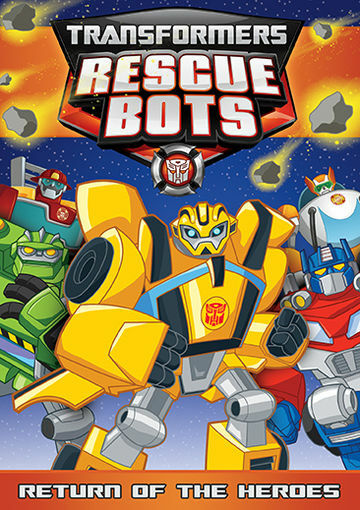 LeVar Burton, Jason Marsden, Mauriche LeMarche and company are spot on in each episode as are the actors responsible for bringing the Rescue Bots to life. All three elements make this new collection of episodes a hit for Transformers fans of any age. Collectively, all three elements show why once again, Shout! Factory Kids, along with Discovery Family and Hasbro Studios, has released another DVD that is an easy candidate for any critic’s list of the year’s best new releases for children and families in Transformers Rescue Bots: Return of the Heroes. Transformers Rescue Bots: Return Of The Heroes is another welcome return for Shout! Factory Kids and for this hit series from Hasbro Studios and Discovery Family. The main, and strongest, reason that it is such a welcome return is its writing. This applies not just to the episodes culled for the disc but for the actual writing within the episodes, too. The episodes themselves present plot lines that are tried and true. There is the standard plot line of the good guys being brainwashed in “Rise of the Heroes.” In “Bot To The Future,” audiences see the Rescue Bots, along with Cody go back in time and set things right so that their original timeline can be re-established and the bad guy defeated. “A Virtual Disaster” tackles the topic of technology gone awry as Blades and Cody go into a virtual video game, only to fin themselves trapped in the game after a freak accident. “Bumblebee To The Rescue,” the disc’s opening episode, sees Blades having an identity crisis of sorts when legendary Autobot Bumblee comes to Earth to investigate a meteorite crash that is affecting the Rescue Bots. Knowing Bumblebee’s legacy, Blades doesn’t like being rescued by him. He wants to prove to Bumblebee that he’s not helpless and to impress Bumblebee. These are stories that have been used plenty of times in any number of series before this one. But even used in this setting, the stories are still just as enjoyable as they were in those other shows. That could be because of the execution of each story line. The stories have been updated and adapted to the series to make them completely entertaining and in turn fully engaging. The execution of the stories in this collection makes for plenty of enjoyment for audiences of all ages. On a deeper level, the writing within the episodes coupled with the execution of the stories themselves, makes for even more enjoyment. One example of how the writing within the episodes makes them more enjoyable can be pinpointed in the episode “A Virtual Disaster.” Before Blades ends up being caught in the virtual video game with Cody, he is helping rescue an unconscious skier on a mountainside. As he is hovering over the mountainside, Dani (Lacey Chabert) tells him he has made the exact same maneuver hundreds of times. Baldes’ reply to Dani: “Yeah, but not on a snow day.” His grasp of the term snow day is itself entertaining. At the same time, Heatwave makes a typical hero remark saying, “looks like it’s time to play in the snow.” If that line alone doesn’t get some laughs, then nothing will. Blades’ comment about whether or not Cody and his family are leading the Rescue Bots into a trap while they are brainwashed in “Rise of the Heroes” will get just as much of a laugh, considering his character’s worrywart personality. There is also Chase’s constant deadpan delivery about so many situations such as his inability to control his reactions in “Bumblebee to the Rescue.” He tells Cody and the others that he can’t move or control himself in any other way. This is linked directly to the work of the cast’s voicework, which will be discussed later. Again, his deadpan delivery at such an important situation makes for so many laughs. It’s one more example of how the writing within each of this collection’s episodes adds to the episodes themselves, proving once again why the writing incorporated into each of this set’s collection is so important to the whole of the disc and its enjoyment. The writing incorporated into each of the disc’s presented episodes proves clearly both on n macro and micro level its importance to the whole of Transformers Rescue Bots: Return of the Heroes. The writing is just as certain in this collection of episodes to entertain audiences of all ages and keep said audiences fully engaged throughout each episode. While the writing is pivotal to the enjoyment of this collection, it is just one part of what should be considered. The animation incorporated into the presented episodes should be noted, too. More specifically the animation incorporated into “A Virtual Disaster” should be noted. This episode is one of those rare times when those responsible for bringing the series to life artistically changed things up. Rather than using the artistic style used throughout the series, said individuals got to stretch their wings, utilizing a completely different artistic style. that style is used when Blades and Cody go into the virtual video game. It actually throws back to the days of hand drawn animation. That is evident from the definition of both Blades and Cody. Their color is much richer. And neither figure looks as rigid, stylistically speaking, as they do outside the game. Their look is more smooth for lack of better wording. The same can be said of their surroundings, too. Regardless of their familiarity with the series, viewers will clearly notice the difference in animation styles. It’s a nice, welcome change of pace especially for those that are more familiar with the series. And it makes for one more reason that audiences will enjoy this latest collection of episodes. That writing and animation incorporated into Shout! Factory Kids’ new Transformers Rescue Bots collection each play their own important part in its enjoyment. For all of their importance, they are not the disc’s only positives. The work of the series’ voice cast once again makes for its own share of enjoyment once again. As already noted, Chase’s deadpan personality and Blades’ worrywart make quite the character contrast. D.C. Douglas’ and Parvesh Cheena’s handling of the two rescue bots respectively is to thank for that continued character style. The same can be said of Heatwave’s voice, Steve Blum. The actors have developed such a clear style with their characters. And it shows time and again as is evident in their dialogue within each of this collection’s episodes. Jason Marsden takes a slightly lesser role in these episodes. But even when he does get some screen time, actor Jason Marsden gets in his own laughs. By comparison, lead voice actor Elan Garfias keeps audiences engaged thanks to his work voicing Cody Burns. Cody is just as confident as ever in these episodes showing once again that one doesn’t have to be a grown up or even the tallest in order to be confident and a leader. Garias’ interpretation of Cody’s role in each script shows once again that even the smallest person can be the biggest on the inside. Yet again, whether for Garfias’ voice work or that of his cast mates, it can be argued with ease in watching these episodes that the work of the Transformers Rescue Bots cast plays just as important part in the enjoyment of these episodes as those presented in any of Shout! Factory Kids’ previous collections from the hit Discovery Family series.